This app can be used to prank your friends. 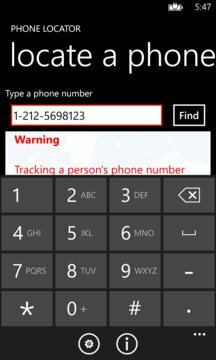 It functions as an advanced phone locator that can presumably find the location of your friend's phone, but it actually shows the location of your OWN phone. In order to function properly this app needs to use location services. 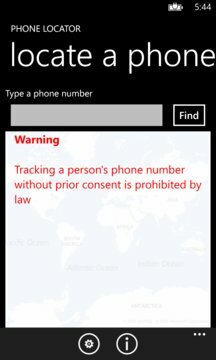 Supports both Bing maps and OpenStreepMap for displaying the phone's location. We encourage you to suggest more features - please send us a feedback before rating our app.